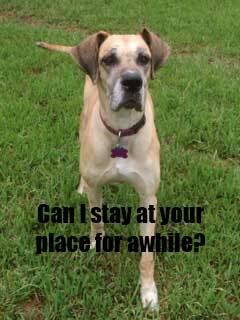 Have you thought about being a foster? GDRST is a foster based rescue. All funds coming in go toward medically treating and rehabilitating the dogs in our program. By being in a home, the dogs are less stressed. They receive more one-on-one time to work on the basics (potty training, walking on a leash, crate training, having fun). We receive a better understanding of a dog’s personality so that it can be placed in the perfect home. We are constantly looking for foster homes. The more homes we have that are willing to foster, the more dogs we are able to help. Have you thought about being a foster? It can be a life changing experience both for the dog and you. Check out our information on fostering. We can’t save them all, but as a team we can make a difference to many. This entry was posted on Tuesday, August 21st, 2018 at 5:11 pm	and is filed under Latest News. You can follow any responses to this entry through the RSS 2.0 feed. You can leave a response, or trackback from your own site.